Jim Onder is the founder of the law firm of Onder Law, LLC. Since founding the firm in August of 2002, Jim has distinguished himself and compiled an impressive record of success, working with his partners to collect over 3.5 billion dollars on behalf of those he's represented. 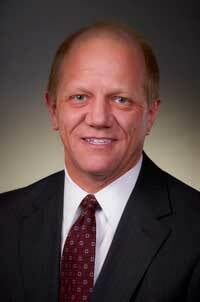 A 1985 graduate of Washington University School of Business Administration, Jim received his degree in accounting. A member of the Beta Gamma Sigma honor society and a recipient of the McWilliams Writing Award, Jim puts his business education and experience to work for those he represents. Jim completed his education at St. Louis University School of Law in 1988 where he graduated with honors. He is a member of the Order of the Woolsack, awarded to the top ten percent of the law school class. While at St. Louis University, Jim was on both St. Louis University's Law Journal and Public Law Review. Jim travels throughout the country, handling primarily catastrophic injury and death claims involving automobile and trucking collisions, railroad crossing accidents and products liability claims involving forklift injuries and death, rollovers, tire separations, and explosions, tractor-trailer underride protection, crane accidents, auto products liability claims involving gas tank explosions and seat belt enhanced injury claims. Serious injuries and deaths caused by violations of the Overhead Power Line Safety Act are also an area of particular skill. Jim is widely recognized as the national advocate and authority on mini-blind and window covering safety. While licensed to practice in Missouri and Illinois, firms throughout the country seek out Jim's particular expertise in the field of product liability. Jim has handled cases in both federal and state courts, including courts in Missouri, Illinois, Florida, California, Iowa, Arizona, Indiana, North Carolina, Utah, Maine, Texas, and Wisconsin. Jim has also lent his expertise to attorneys and families in the states of Alaska, Wyoming, Oregon, and Washington. Throughout this time, Jim has developed a national reputation in the field of products liability. Jim comes from a medical family with four physician family members. His close friends and relatives practice in the fields of orthopedics, neurology, radiology, anesthesia, obstetrics and gynecology, ophthalmology, immunology, pulmonology, otolaryngology, and internal medicine. Jim utilizes these resources daily in representing his clients on claims involving catastrophic injury and medical malpractice. Regularly representing members of the Iron Workers and Steel Workers Unions, Jim's medical background and expertise in the field of workers' compensation regularly produces excellent results for his clients. Jim is on the Board of Governors for the Missouri Association of Trial Attorneys and is involved in voluminous political and community activities.